When you read Tracking Virtue, Conquering Vice . . . you ll [be] entertained by a master storyteller, an everyman who's dedicated his life to serving God. 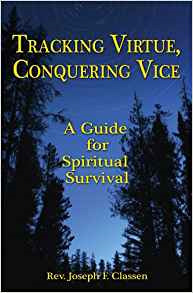 Whether you are looking for a better understanding of nature, or a deeper understanding of God s plan as well as His love for us, I highly recommend Tracking Virtue, Conquering Vice.